Utilities are known for their stable business model. As most of their income is regulated; this makes for predictable cash flow. Predictable cash flow = safe dividend. Here’s the utility dividend stocks list. Electricity, gas and water. Three essential components in our modern civilization. It would be impossible to imagine a house that doesn’t have power or running water in North America. Utility companies offer indispensable services to their customers, and then they reward their shareholders with generous dividends. Many income seeking investors chose utilities for their portfolio to improve their stability and increase their average yield. Since Utilities are known to be stable businesses, they generate a constant flow of money leading to predictable dividend payments. This article explores this sector, defines how it can boost yield in your portfolio and provides you with a complete dividend stock lists including comprehensive metrics. Utilities are defined as businesses providing the public with necessities, such as water, electricity and natural gas. As you can imagine, utility companies represent a great deal of power for the population. As we depend on electricity and water, it would be catastrophic to see our utility bill being raised by 75% overnight. For this reason, some countries, provinces or states nationalized their resources and provide them at a lower price. In many cases in Canada and in the U.S., the government has allowed private enterprises to manage and distribute electricity, gas and water in a regulated environment. Allowing such power to private entities couldn’t be done without strict rules. For this reason, utilities usually operate in a highly regulated environment. Governments basically decide the cost of power and water distribution charged to the customer base. While this seems like a break for future growth, utilities also enjoy a stable and predictable source of income over a long period of time. In other words, investing in utilities is not to make a quick buck. On the other hand, those businesses tend to grow at a steady pace, similar to the turtle winning the race against the rabbit. What Utilities Can Do For Dividend Investors? 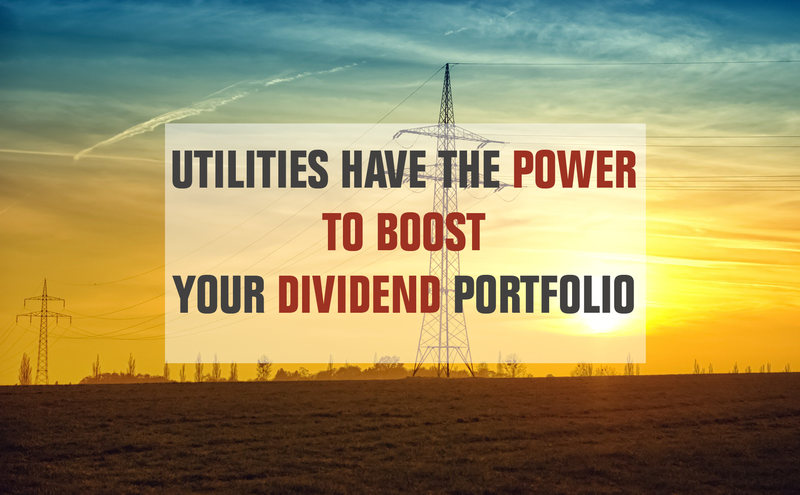 Historically, utilities are known to be quite generous with their dividend. They tend to distribute roughly 50% of their available cash flow to their shareholders. This is the perfect type of business for dividend investors. The stable and regulated nature of their businesses provide utilities with a solid base upon which to pay dividends on a consistent basis. The Utility Dividend Stocks list is being updated on a quarterly basis. Utility companies require large infrastructures and most of their projects are now defined in billion of dollars. The fact that utilities require billions in infrastructure limits the number of competitors. In most cases, we can talk about natural monopolies. It wouldn’t make much sense for three different electricity companies to spend billions on power generators and power lines to serve the same territory. Therefore, utility markets are typically well protected, and companies have nothing to fear, but themselves (e.g. poor management). Speaking of poor management, one must be careful about the volume of debt those companies carry. Each time a Utility has a project, you can bet it will cost several hundreds of millions, or even a few billion dollars. In most cases, those projects are financed through the issuance of additional shares of stock or debts. When interest rates rise, this increases the cost of financing and reduces future project profitability. In other words; there will be less cash left to increase the dividend. Overall, utility dividend stocks will fit well in a conservative / retirement portfolio. They are usually less volatile than the market, and their predictive cash flow ensures a stable and growing dividend over the long haul. Brookfield Infrastructure Partners L.P. is one of the largest owners and operators of critical and diverse global infrastructure networks which facilitate the movement and storage of energy, water, freight, passengers, and data. BIP is active across the world and specializes in developing infrastructure in fast growing places, such as Latin America and India. NextEra Energy is an electric power company divided into 2 different businesses: Florida Power & Light (FPL) where 89% of its customers are residential (11% commercial), and NextEra Energy Resources (NEER), a clean energy utility with 75% of its assets producing wind energy. Along with Xcel (XEL), it is a leader in the clean energy production in the U.S.
Fortis is a utility distribution company operating mainly in Canada. It serves over 2,000,000 gas and electric customers. FTS is the main electricity supplier for Newfoundland and Prince Edward Island. Since 2012, FTS has made 2 acquisitions in the U.S. and now shows 60% of its revenue coming from the U.S.
Duke Energy is one of the largest electric power companies in the United States. It provides electric services to 7.5 million retail clients across the Carolinas, the Midwest, and Florida. Duke also offers natural gas distribution services to 1.6 million clients in Ohio and Kentucky. 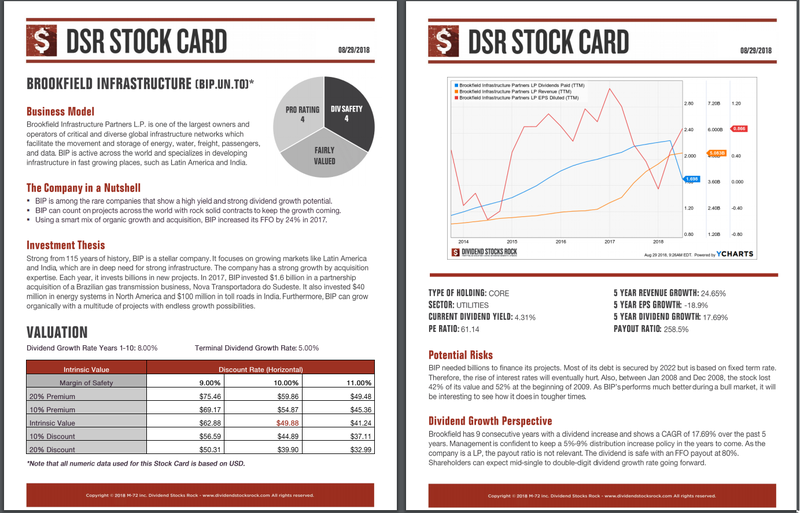 If you liked the utility dividend stocks list, but you are looking for additional sectors, you can register for our free newsletter and receive exclusive access to all our sector dividend stock lists. For each industry, we cover both U.S. and Canadian dividend stocks.